Shukla group (http://www.shuklagroup.org) at University of Illinois at Urbana-Champaign has just configured new Folding@home servers (ds01[a-d].scs.illionis.edu), which would help us carry out exciting computational experiments in collaboration with the vibrant F@H community. Before joining Illinois in January 2015, I was a post-doctoral fellow in Pande Lab, working on conformational change mechanism of proteins related to a variety of diseases including cancer, neurodegenerative & cardiovascular disorders. Some of the key results obtained using Folding@home resources on conformational change mechanisms of G-Protein Coupled Receptors and Kinases are highlighted in previous blog posts. 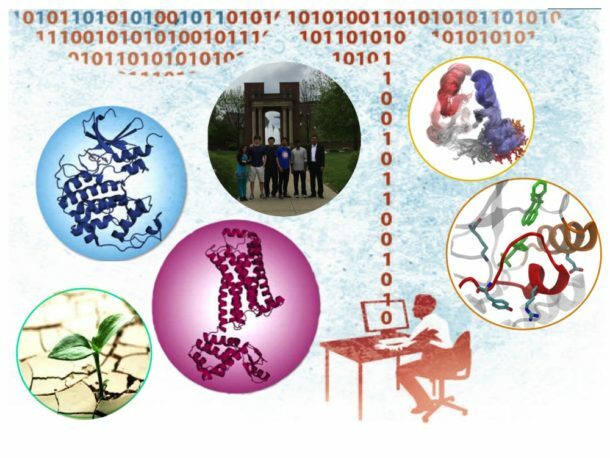 The mission of my group is to combine theory, computation, and experiments to develop quantitative models of biological phenomena relevant for health, energy and environmental challenges. These grand challenges would not only require new scientific methodologies and insights but also development of platforms that enable broader participation of the community of informed citizens in the pursuit of the solutions. Folding@home is one such unique platform that enables engagement with volunteers and donors to help us solve challenging scientific problems. Our group is excited to be a part of the Folding@home team and we look forward to working with all of you on projects related to key challenges in human health. Specific project details will be posted soon on folding forum and F@H blog.